I just want to let you know that I read each and every one of your guest requests and I do try very hard to bring on the guests you want to see, though sometimes they’re just not available. I’ve gotten tons of requests for both for Cherie Priest as a guest blogger and to profile Boneshaker on Book Monday, and where, we haven’t yet worked out a time for her to come and guest blog, she did send me two lovely signed books to give away to you all (which was very sweet). 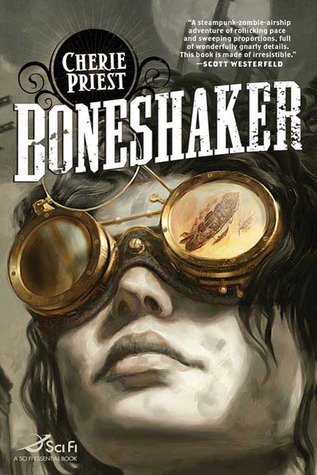 Boneshaker is often considered one of the must read books in the Steampunk genre. 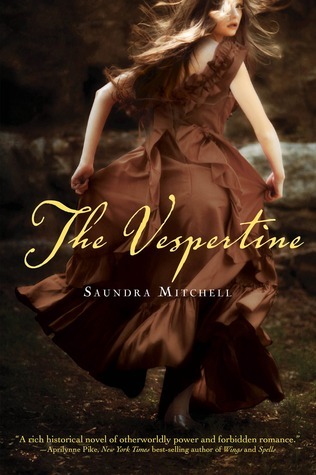 Besides the goggles, airships, and zombies, it’s a tale of many things. It’s the tale of an alternate version of late 19th century Seattle where a test for a new invention, the Boneshaker, goes awry and unleashes a subterranean vein of gas that turns people into zombies. It’s the tale of Ezekiel, who sixteen years later sets off into the walled-off part of Seattle hoping to find some way to clear his father’s name. A city teeming with danger–and the living dead. 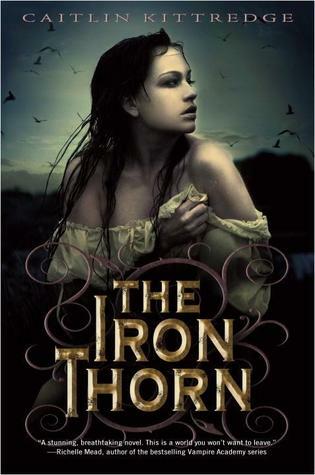 It’s the tale of Briar, Ezekiel’s mother, and the widow of the man who invented the Boneshaker, who follows her son into the toxic city with the hopes of bringing him back alive. As a mom, I really could appreciate everything Briar did to protect her son. She’s not perfect (but no mom is) and most importantly, when her efforts backfired, she continued to do whatever she could to protect him-even if it mean litterally going over a wall into a city teeming with danger and toxic gas. 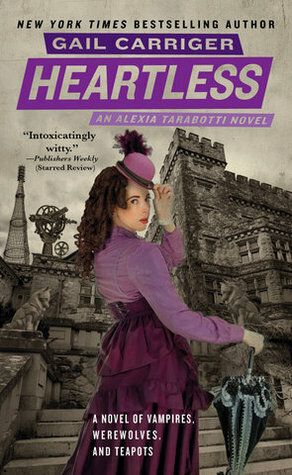 This was a well thought out, well built, and well researched story that is easily enjoyable–and accessible to both Steampunk lovers and those new to the genre. 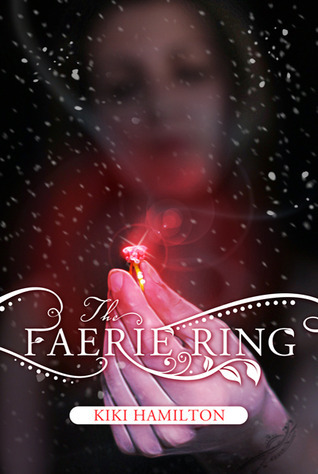 There is plenty of adventure, twists, turns, and goggles, driven by some stand-out characters. Have you read Boneshaker yet? Why or why not? One lucky commenter will win a signed copy of Boneshaker, another lucky commenter will win a signed copy of Those Who Went Remain There Still. Both are open internationally. Winners will be chosen at random. Contest closes September 4, 2011, 11:59 PM PST. You all know how much I love these books. 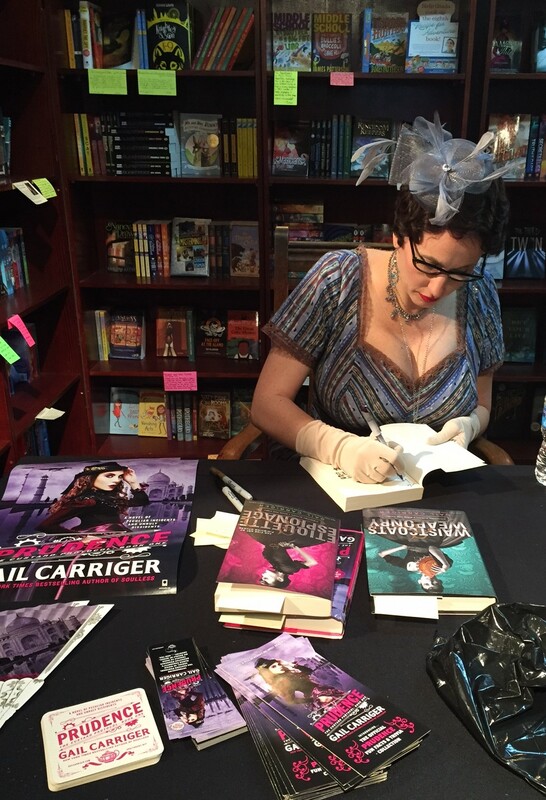 Gail Carriger is one of my favorite authors. When this surprise landed in my mailbox I didn’t read it, I devoured it in two sitting, while the hubby looked on in worry asking me why I was laughing so hard. 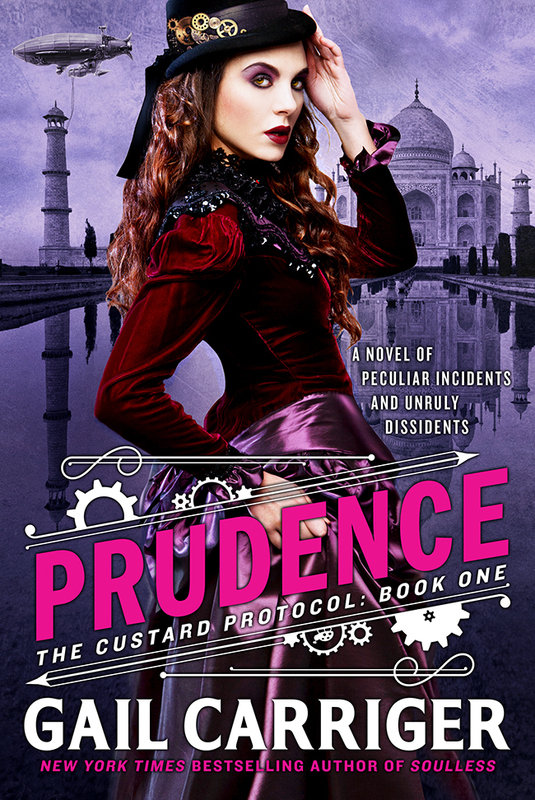 A ghost is on the loose and threatening Queen Victoria, Felicity has (gasp) joined the suffragette movement, there’s an infestation of zombie porcupines, and Madame Lefoux is inventing strange things. Alexia must deal with these while in her most delicate condition. Carriger has done it again, taking us on a hilariously adventurous romp through supernatural society, complete with giant octopi, porcupines, and, of course, treacle tart. I love that these very proper books don’t take themselves seriously and that they’re funny. Now, I do love dark books, but sometimes you need a book that makes you snort in an unladylike fashion and laugh so hard you nearly upset your tea. I for one, love these covers, but then I also know the cover model. Overall this was a wonderful, quick read. There is plenty of humor in Heartless. There’s all our favorite characters including plenty of the ever fabulous Lord Akeldama and sweet Biffy. There’s Alexia’s baby…and, well, we can’t forget the porcupines! My only problem with this book, is, as usual, that I have to wait a year for the next.